15 individual from China are arrested for selling and developing Cheats or Hacks for the Battle Royale game PlayerUknown’s Battlegrounds. PUBG Corp. (Bluehole) together with Tencents, a chinese publisher for the game PUBG mobile, has partnered with the local authorities from China to capture and arrest two syndicates that are suspected to be the owner and developer of the cheats/hacks. The operation leads to arrest of 15 individual with a fine of around 5.1 million in US Dollar or 264 million in Philippine Pesos. They also discover that some of the hacks program that are being distributed to the internet includes a Trojan horse virus called Huigezi, a chinese backdoor virus that can control your PC, scan data and extract information illegally. The longstanding rumor that hacking/cheating programs extract information from users’ PCs has been confirmed to be true. Using illegal programs not only disrupts others, but can end up with you handing over your personal information. We’ll continue to crack down on hacking/cheating programs (and their creators) until our players are free to battle it out in a totally fair environment. According to Battle Eye an anti-cheat partner of PUBG, cheats and hacks program for the game has been rising since the game is launch in 2017 with 13% of the player base banned and 99% of it are coming from China. PUBG Corp. also says that they will not stop going after these individual specially the one who are making the hacks. 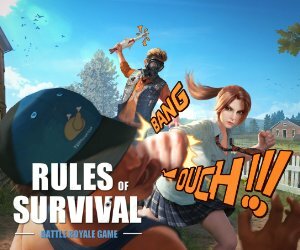 15 individual from China are arrested for selling and developing Cheats or Hacks for the Battle Royale game PlayerUknown's Battlegrounds. PUBG Corp. (Bluehole) together with Tencents, a chinese publisher for the game PUBG mobile, has partnered with the local authorities from China to capture and arrest two syndicates that are suspected to be the owner and developer of the cheats/hacks. The operation leads to arrest of 15 individual with a fine of around 5.1 million in US Dollar or 264 million in Philippine Pesos. They also discover that some of the hacks program that are being distributed to the internet includes a Trojan horse virus called Huigezi, a chinese backdoor virus that can control your PC, scan data and extract information illegally. PUBG Corp. says: The longstanding rumor that hacking/cheating programs extract information from users’ PCs has been confirmed to be true. Using illegal programs not only disrupts others, but can end up with you handing over your personal information. We’ll continue to crack down on hacking/cheating programs (and their creators) until our players are free to battle it out in a totally fair environment. According to Battle Eye an anti-cheat partner of PUBG, cheats and hacks program for the game has been rising since the game is launch in 2017 with 13% of the player base banned and 99% of it are coming from China. We are currently banning at a rate of 6K-13K per day, nearly 20K within the last 24 hours alone. The vast majority is from China. — BattlEye (@TheBattlEye) October 13, 2017 PUBG Corp. also says that they will not stop going after these individual specially the one who are making the hacks.